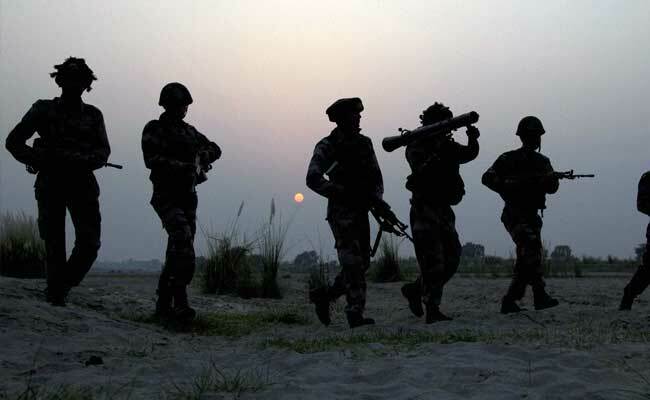 The surgical strike in the intervening night between September 28 and 29 is perhaps the most audacious Indian military operation since the Kargil war, and saw commandos of the Army's elite 4 and 9 Para Special Forces engaging multiple targets on either side of the Pir Panjal range. "I won't say what footage it was but we were watching the operation," ex-commander DS Hooda said. When Lieutenant General DS Hooda, then Northern Army Commander, saw the live video feed of India's surgical strike across the Line of Control, he knew he wasn't necessarily getting the full picture. "I won't say what footage it was but we were watching the operation," said the Lt General who approved the plans for Special Forces to retaliate less than two weeks after the Uri terror attack in September last year, when 19 Indian soldiers were killed by Pakistani terrorists. "Whatever footage you may get, it doesn't give you a very detailed picture of what is happening on the ground. You see black figures running, and whether it is our soldier or whether it is terrorists - it's difficult to make out but the way things were going - broadly we could make out from the footage we were viewing that things were going as had been planned," said the General, confirming hand-to-hand fighting between army commandos and Pakistani terrorists and army. "The Special Forces had gotten into places where they were confident they could cause maximum number of casualties so they had to get fairly close to where the camps were and there were some Pakistani posts in close vicinity so that also had to be catered for so, yes, they did get into close combat," he said. 19 Indian soldiers were killed by Pakistani terrorists in Uri attack in September last year. While the government had considered air strikes, Lt General Hooda said: "After the June 15 strikes across Myanmar, a lot of statements had come out from Pakistan. Their interior minister and also their official spokesperson had said 'Pakistan is not Myanmar and we will give a befitting reply if India resorts to any adventurism.' Once the surgical strikes were carried out, they just went totally quiet and I think that was more of a moral victory." It is clear that the army leadership had war-gamed casualties, given the scale of the operations. It was the incredible training of the commandos that ensured that all the men got back safely to Indian territory. According to Lt General Hooda, "It wasn't so much about we shouldn't lose a single man or we shouldn't have a casualty because it would be foolish if we planned for such a large operation [to] say we will come back without any casualty - so our planning process had to take into account that there could be casualties. I think the key factor was not a single man must be left behind and that took a lot of thought, a lot of planning - if something happens and we have casualties, how would those people come back so the key element was not so much casualties as not leaving a single man behind." If things went south, the Army was ready for whatever it took to get its commandos back. Helicopter units were on standby for extremely risky casualty evacuation missions. "Multiple plans were made... in case there was a fighting extrication, how would it actually be carried out - what assets would be required for such a contingency - whether in terms of aerial assets or whether in terms of even sending some more people across to bring our people back so that kind of planning had been put in process and we were conscious that there could be a fighting extrication." While the operations went off perfectly with dozens of terrorists and Pakistan Army personnel being eliminated, a jawan was severely injured while crossing back. As he got word of every man having returned, Lt General Hooda also "got information that one jawan has got injured. It was actually a minefield on our side of the border and a number of minefields are not marked or mines drift so unfortunately, we had one casualty but that was not due to Pakistan action - that was an accident on our own side. A part of the leg was blown off." While the surgical strike teams celebrated with the top military leadership in Kashmir after the successful conclusion of the surgical strikes, there was serious concern that Pakistan could retaliate, a fear that seemed to lessen after Islamabad insisted the attacks never happened. "We were [worried about retaliation] and why not? It would be unprofessional to say there would be no retaliation and that we shouldn't plan for it. We had planned for it but as I said, the Pakistanis were quite shell-shocked and the minute they said surgical strikes hadn't happened, we knew a response from their side would at best be very very limited." That response never came.